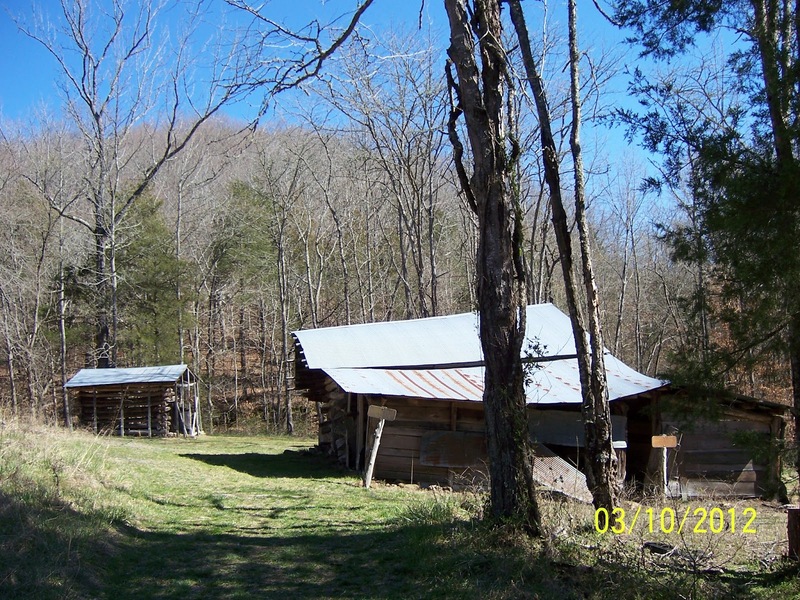 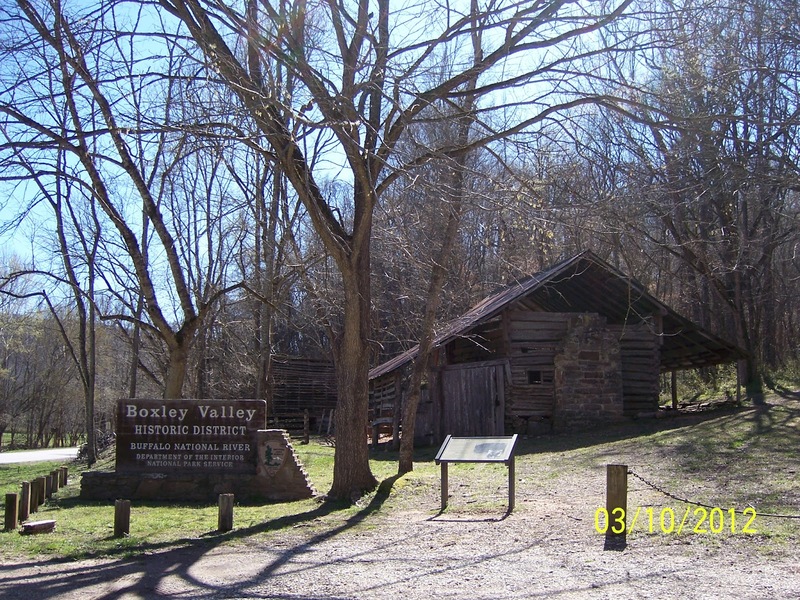 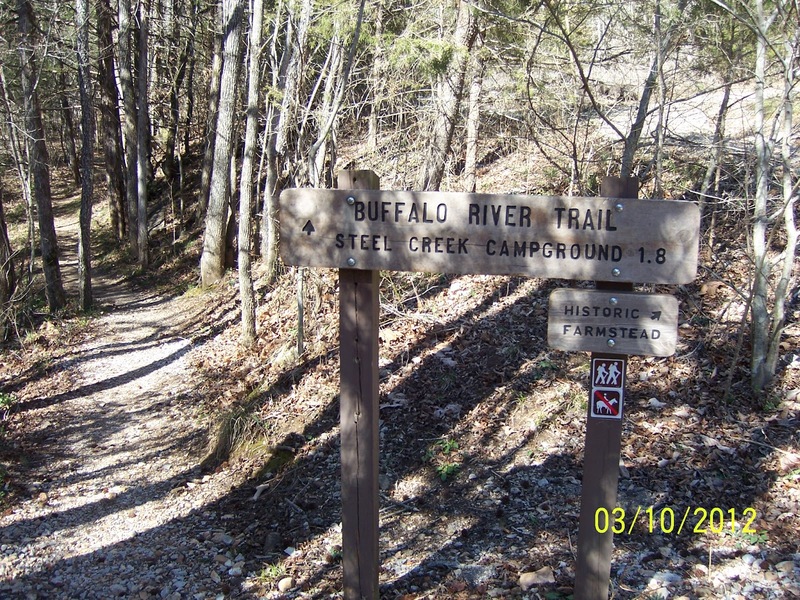 The Ponca access in the Upper District of the Buffalo River marks the Northern boundary of the Boxley Valley Historic District. 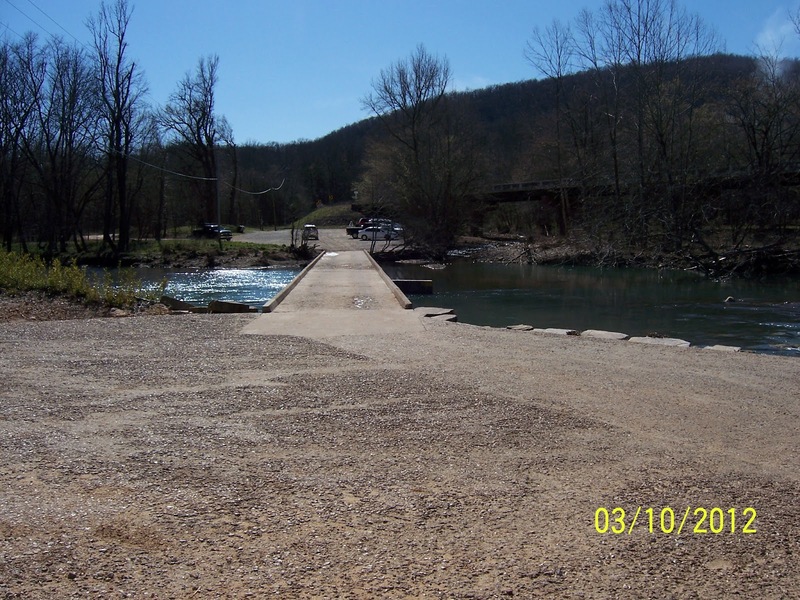 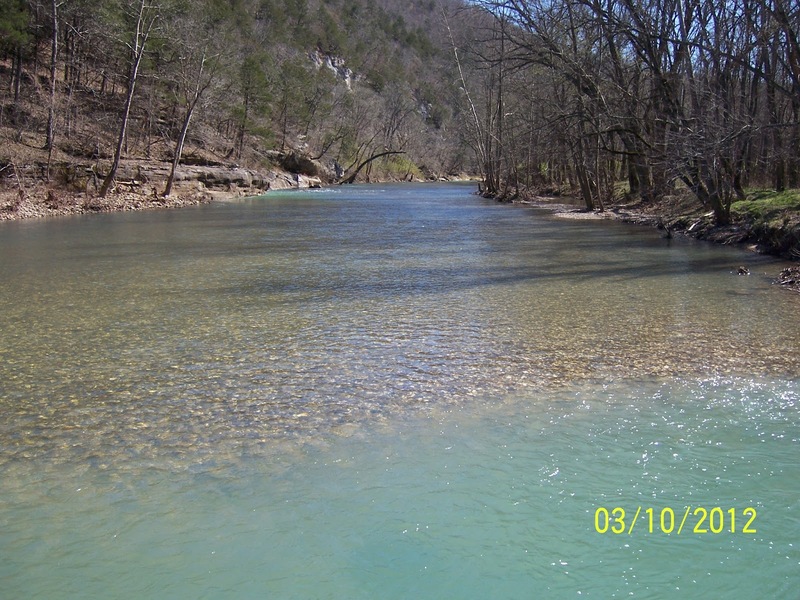 Ponca access is located at the intersection of State Highway 74 and State Highway 43.
crosses the Buffalo National River at Ponca. 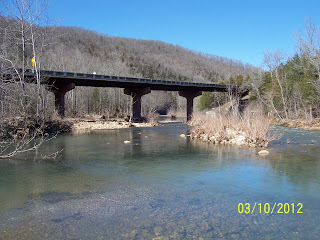 There is an old low water bridge crossing the river here. The amount of air space between the water level and the bottom of this bridge is used to judge the "floatability" of the upper portions of the river. 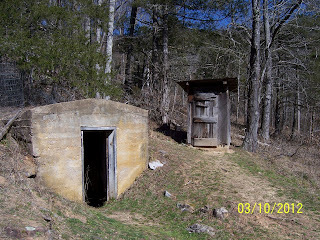 There is a large parking area here and a vault toilet. 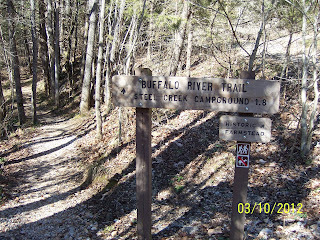 Camping is not permitted here. 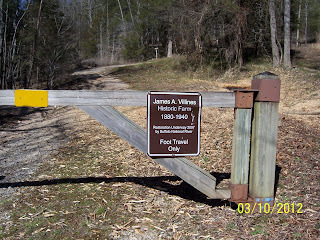 Trail heads begin on the opposite side of the low water bridge. 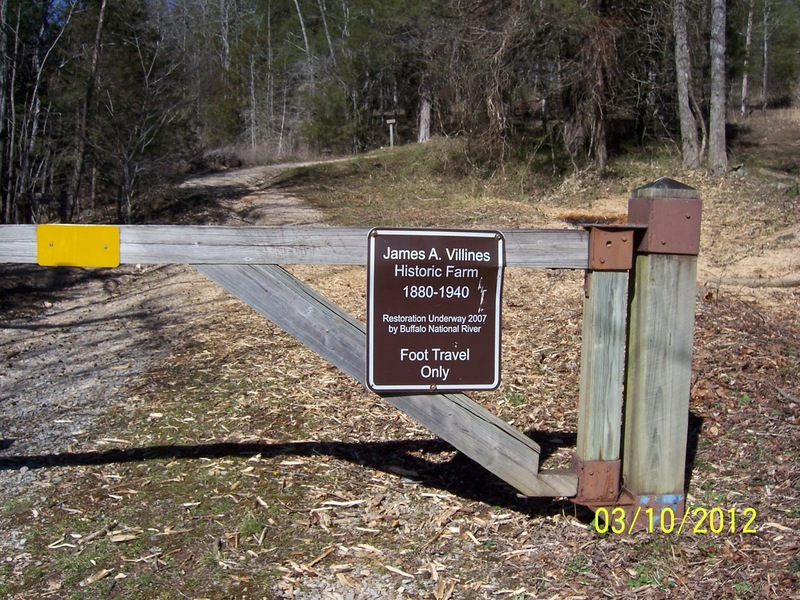 The old James Villines farm, undergoing restoration, sits just up the hill across the bridge and is very much worth the short walk up the hill to visit it. 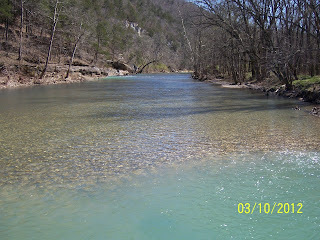 Looking up river from the low water bridge. 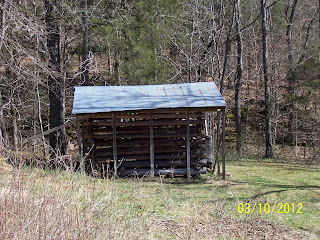 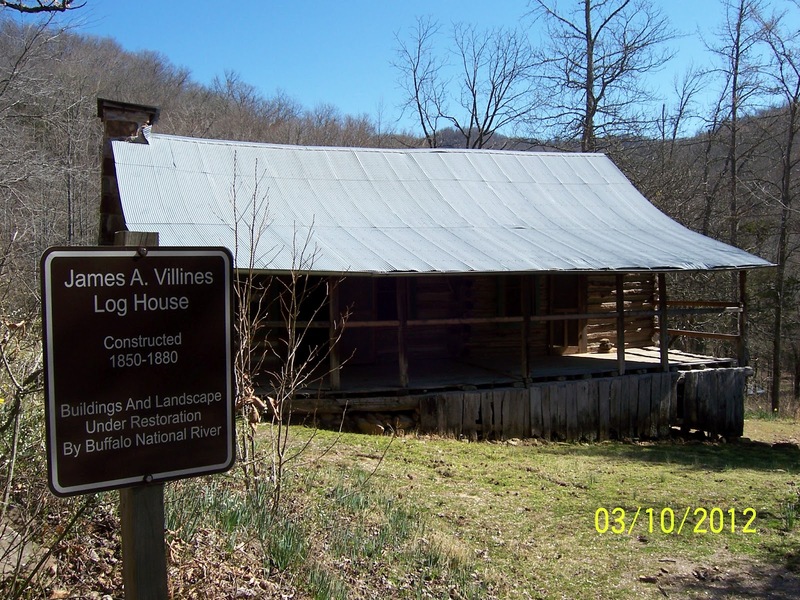 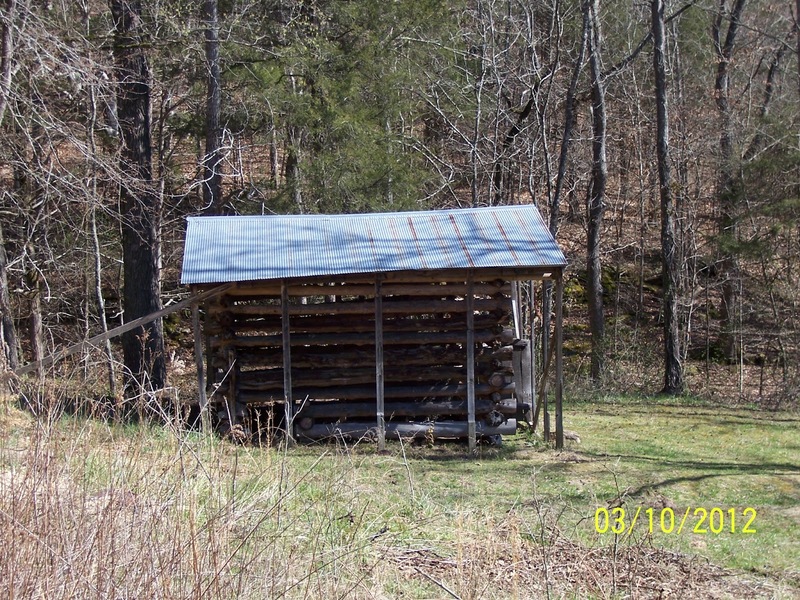 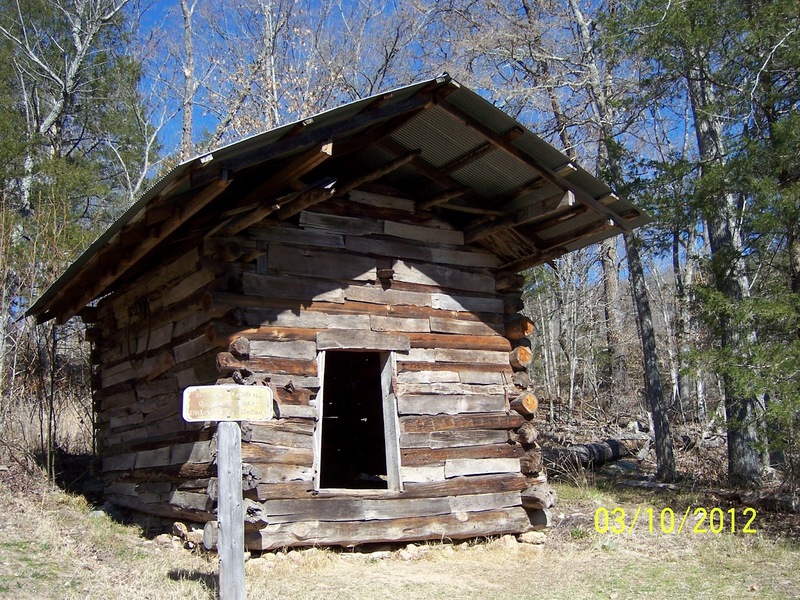 The Villines farm log house. 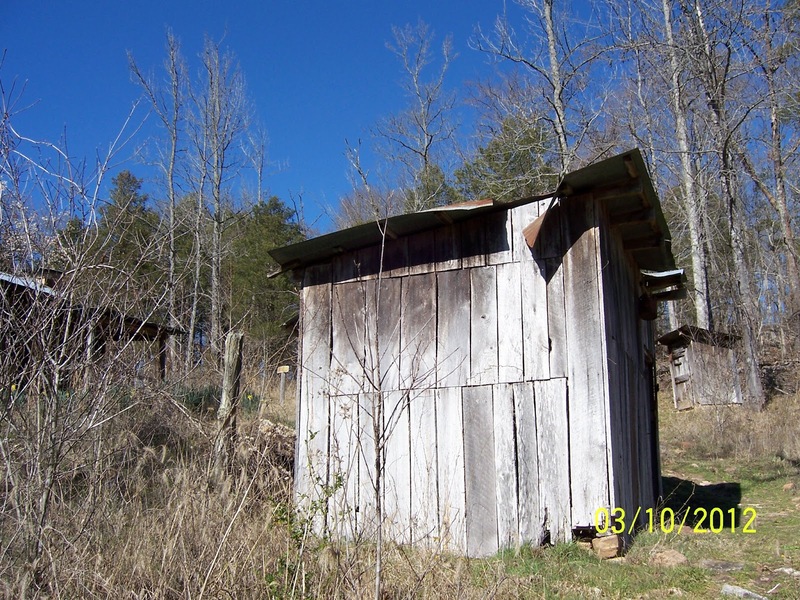 The cellar and out house privy. 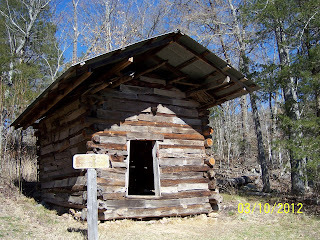 The back side of the log house. 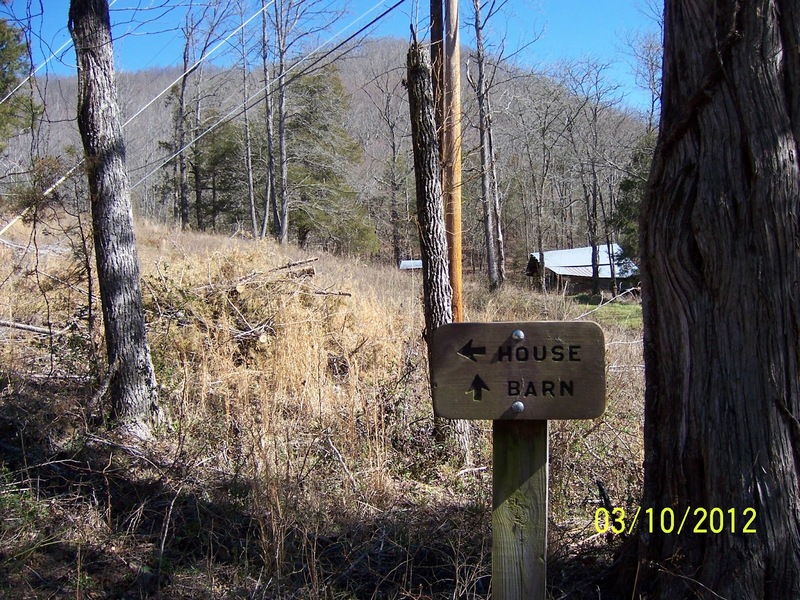 The barn is just down the hill from the log house. 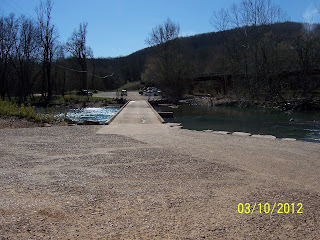 the Ponca access parking area. 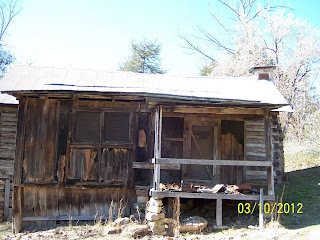 The small community of Ponca is just NW of the Ponca access area on Hwy 43.